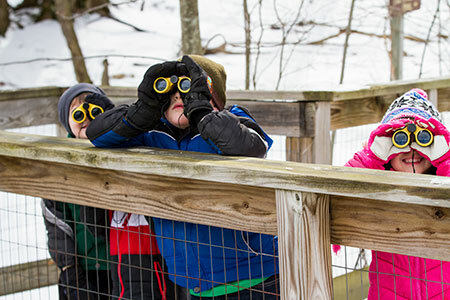 Get children out of doors where they can interact with nature. Involve children with scientific activity at a simple level. Provide children with a contest setting in which they have specific attainable goals. Of course, Ten by Ten involves a selection of a very few species groups from many and, hopefully, this book will lead children beyond these few. What is important about learning these common species, however, is that they play a role for comparison. In addition to providing a knowledge base they serve as what biologists call search images. These common species give the observer a basis for identification of less common species by both elimination and comparison. But, even if your children do not go beyond these ten species groups, they will be aware of their surroundings and can identify with it. They will know more about this aspect of their environment than 99% of our nation's population. You have an important role to play in support of this activity. Hopefully you will guide your children to areas where they can find these species: to public parks, for example. You should also encourage them as they add to their list and you should help them go further if they decide they wish to do so. You can add to the contest by challenging your children to photograph the birds they identify. You can stay informed of our new book releases by signing up to receive email notifications from us!